If you have ever experienced a very dry summer or accidentally burnt out the grass on your lawn with fertilizer, there are ways to easily grow the grass back for even the most novice gardener without ever noticing a difference. Here is how you can bring your lawn back to beautiful! First, try to thatch out as much of the dead grass as possible. "Thatching" is when you take a rake and try to remove as much of the grass as you can. If the brown patches cover a lot of surface area, you may have to rip out the entire sections of grass. In the bare spots, place a quality soil mixture to level the surface. Then put down a layer of lawn fixer such as Patchmaster. This is basically a mixture of fertilizer, grass seeds and mulch that will cover a larger area and "fill" in the empty spots. Make sure the mixture is even and use a rake to spread it out. Keep the mixture watered. Every day make sure you water it at least twice a day or have the sprinkler system programmed to come on. 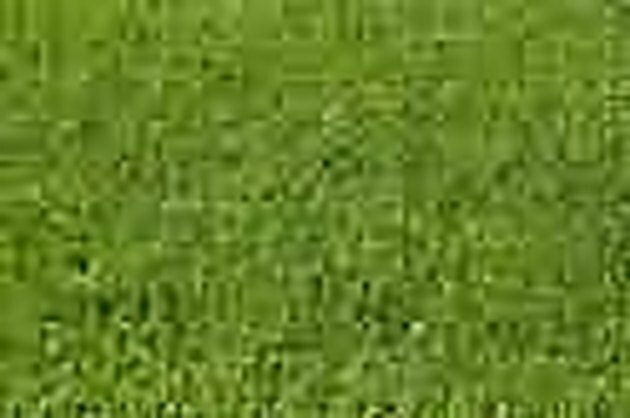 Once the grass starts growing, look for any patchy spots, sprinkle a few grass seeds right onto the mixture. You will see growth within a few days, but it will take a couple of weeks before it blends in completely.